Please review the information below before requesting advertising at .eduGuru. Once you have reviewed our policies, you may submit a request, and we will contact you regarding opportunities. Why Should you Advertise on .eduGuru? Higher education web development is our expertise and the vast majority of our readers either compete in the higher education web consulting industry or are higher ed web developers, designers, marketers, and recruiters. We regularly have representatives at major national higher ed web conferences, including eduWeb, HighEdWeb, including other events such as the Stamats Integrated Marketing conference, NACAC, and more. .eduGuru was the 2009 recipient of the eduStyle People’s Choice Best Higher Ed Blog award. We hold a certain moral code about our advertisers. This blog is written by trusted and respected individuals in the higher education web world and we respect our audience and keep their best interests in mind. We realize that not all companies and products are the perfect fit for everyone so we reserve the right to promote competing products. Companies that advertise on .eduGuru have either impressed us through their services and products directly or we hold their services to be of high quality and would recommend them to our audience. 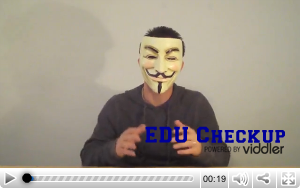 .eduGuru reserves the right to remove an ad from the site at any point. In the unforeseen situation where this would happen the advertiser will be refunded on a prorated level schedule. At this time, .eduGuru does not accept sponsored reviews from companies. A company may approach us to schedule a review of a product, however we will not accept compensation for such a review, and reviews will be representative of the author writing it and may or may not ultimately be favorable of the item or product. Please indicate in your email, the URL of the website to be advertised. Unless otherwise stated, all ad space is sold on a monthly basis. Two 125×125 banner graphic spaces that appear on every page of the site in the right side bar. An excellent way to promote your brand, the ads do not rotate and are easily visible to all visitors. All images are subjected to editorial approval. We do not sell PageRank in any of the above advertisements. All links in reviews and banner ads contain the “nofollow” attribute as per Google’s Webmaster Guidelines.